To strengthen maritime security it is crucial that researchers work closely together. The Maritime Security mailing list was launched in 2014 by piracy-studies.org to facilitate cooperation between maritime security researchers and other interested actors. To subscribe to the mailing list please follow the link here. Inform about recent studies, articles and books in the field of maritime security (including promoting their own work). Circulate call for papers and advertise events, workshops and conferences. These should be directed at or of interested for analysts and scholars in the field of maritime security and should be not-for-profit. Raise questions on distinct research topics in the field of maritime security or invite to comment on a piece of work, such as a draft paper. Point to major new policy documents and developments which are of general interest to the group (such as a new maritime security strategy). SafeSeas is advertising for a 2-year postdoctoral Research Assistant position to work on the topic of Transnational Organised Crime at Sea at the University of Bristol, UK. The successful candidate will work with the SafeSeas team as part of a research project funded by the UK Economic and Social Research Council. You can find out more about this role and apply here. The closing date for applications is 7 April 2019. Please don’t hesitate to get in touch with tim.edmunds@bristol.ac.uk or christian.bueger@ifs.ku.uk or if you have any questions. To improve education in the field of maritime security and increase general awareness for the sea, the SafeSeas team is working on a curriculum for teaching the subject. For the first time, a course at master level is to commence this week as part of the programme of the Department of Political Science of the University of Copenhagen. Over 14 weeks, students will learn about the issues, concepts, and actors of maritime security after which they are tasked to write and/or edit a Wikipedia entry on maritime security. As part of its biennial multi-national naval exercise Aman, the Pakistani government is organizing an International Maritime Conference. 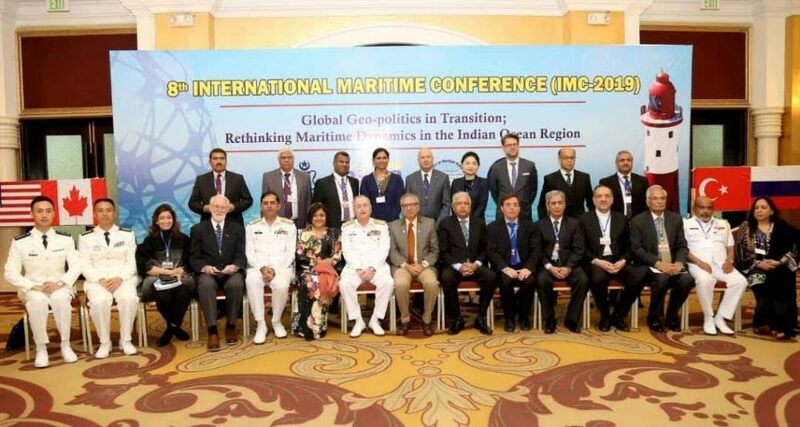 This years iteration had the theme “Global Geopolitics in Transition: Rethinking Maritime Dynamics in the Indian Ocean Region”. As part of the conference SafeSeas director Prof. Bueger gave a keynote address arguing that Pakistan needs to peer towards the Western Indian Ocean, rather then rely on a broader regional construct. 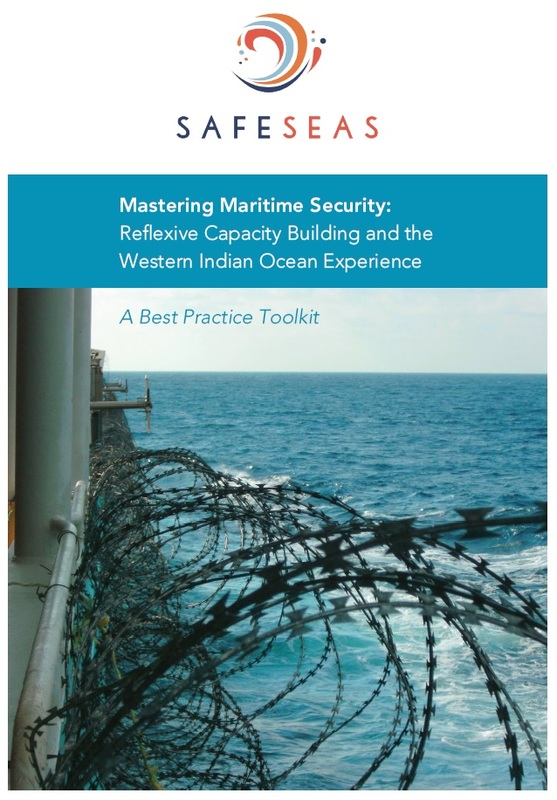 Drawing on the current work of Safeseas on a regional guide, Prof. Bueger asked what the right security architecture for the Western Indian Ocean is. Further information on the conference is available here. A copy the my talk is available here. 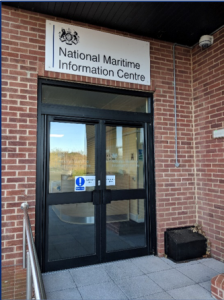 In January 2019, SafeSeas’ director Prof. Tim Edmunds, visited the National Maritime Information Centre (NMIC) in Portsdown, UK. NMIC, is one of the most interesting international role models of how to organise Maritime Domain Awareness on a national level. 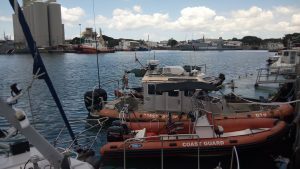 Understanding how its worked might be replicated in other regions of the world, is one important part of the answer of how to fight maritime crime. One of the core areas work of the SafeSeas’ project TOCAS is Maritime Domain Awareness (MDA). Asking how MDA can become a fruitful tool for better law enforcement at sea, the disruption of transnational organised crime as well as increased cooperation, the SafeSeas team is developing a guide. On the 24th of January, SafeSeas Director Prof. Bueger had the opportunity to discuss the draft guide with colleagues from Southeast Asia during an event organised by the Maritime Security Programme of RSIS. MDA is often considered to be one of the keys for addressing maritime insecurity as it provides the knowledge and understanding for policy, institutional reforms as well as operational responses. The one day event had the objective to review the state of MDA in Southeast Asia on a national and regional level. Participants agreed about the value of MDA, but identified quite significant hurdles to achieve better knowledge of the sea. In his talk Prof. Bueger introduced the work on key guidelines for MDA, summarized some of the promises and argued that many of the known hurdles can be overcome through institutional procedures. The slides of the talk are available here. SafeSeas presented it’s draft guidelines for maritime domain awareness (MDA) at a meeting of the Djibouti Code of Conduct (DCoC) organised by the Internaitonal Maritime Organisation. At the meeting which was a follow up to the 2018 meeting in Jeddah, the next steps were discussed on how to improve the information sharing network of DCoC, and how to share best practices concerning setting up national MDA centers. If you are interested in the draft version of the guidelines for building capacity in maritme domain awareness, kindly contact Prof. Bueger. 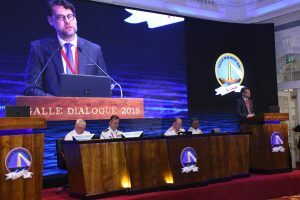 SafeSeas Director Prof. Christian Bueger participated in the 9th edition of the Galle Dialogue of the Sri Lanka navy. The Galle Dialogue is an important regional forum in the discussion of maritime security and the geo-political dynamics of the Indian Ocean. Prof. Bueger chaired the opening panel which featured presentations from the navies of India, China, Russia, and the US. Fishcrime is an international forum to address fishery crimes by exhcaning information and working towards better coordination. 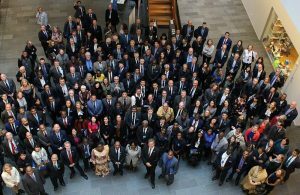 The 4th FishCrime Symposium takes place in Copenhagen from the 15th to 17th of September. Prof Tim Edmunds and Prof Christian Bueger from the SafesSeas network will attend the event.